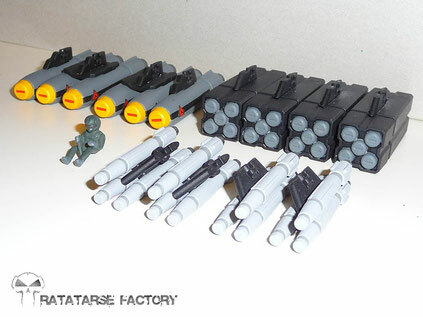 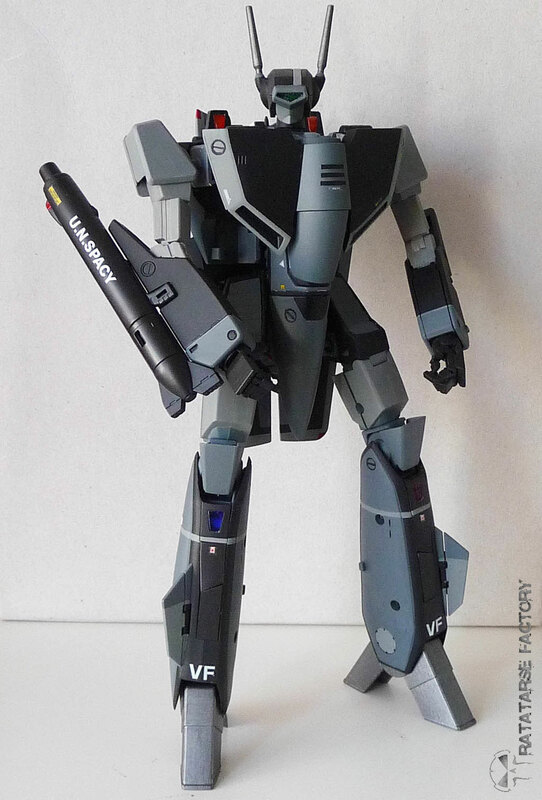 The Stealth type is - in Yamato VF toy line - an exclusive item in 1/48th scale. I always loved this paint scheme, so I decided to make mine in 1/60. 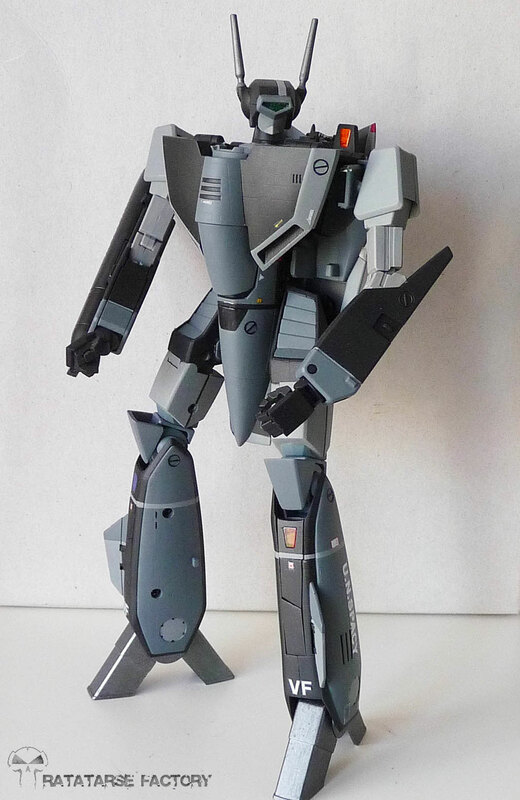 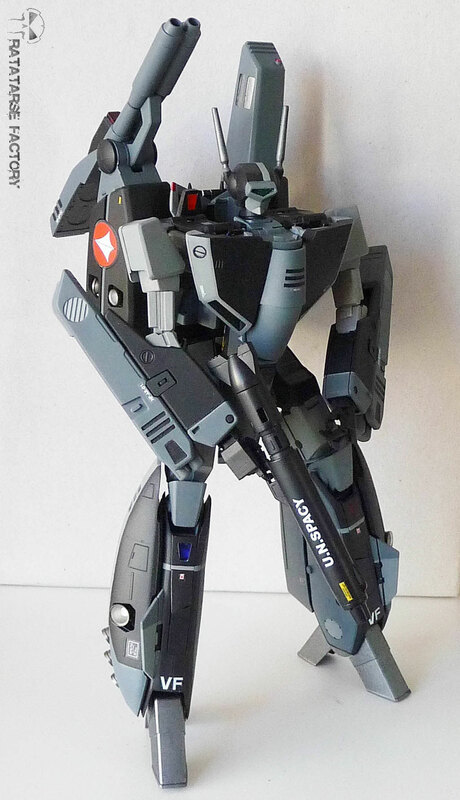 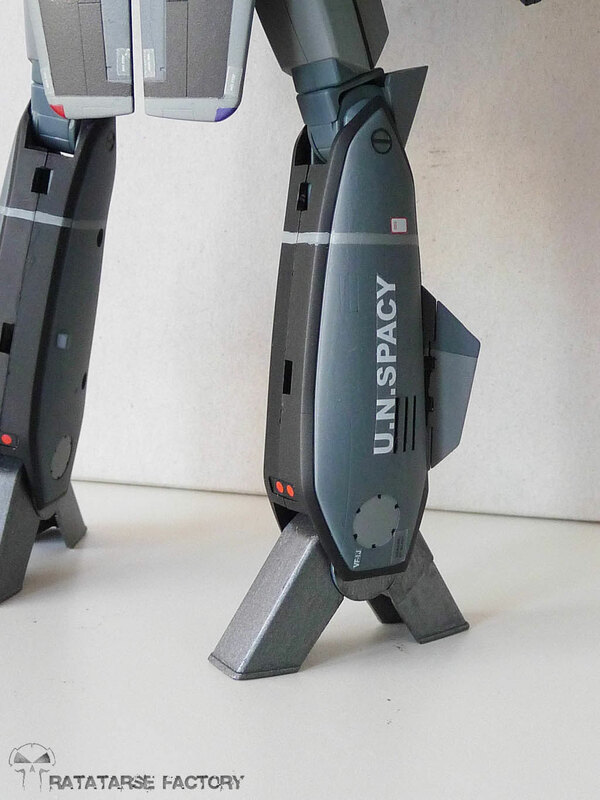 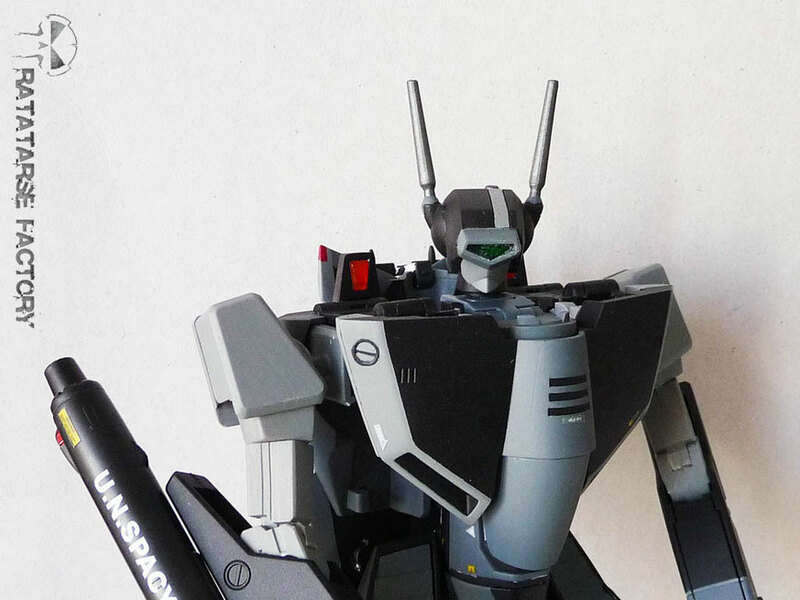 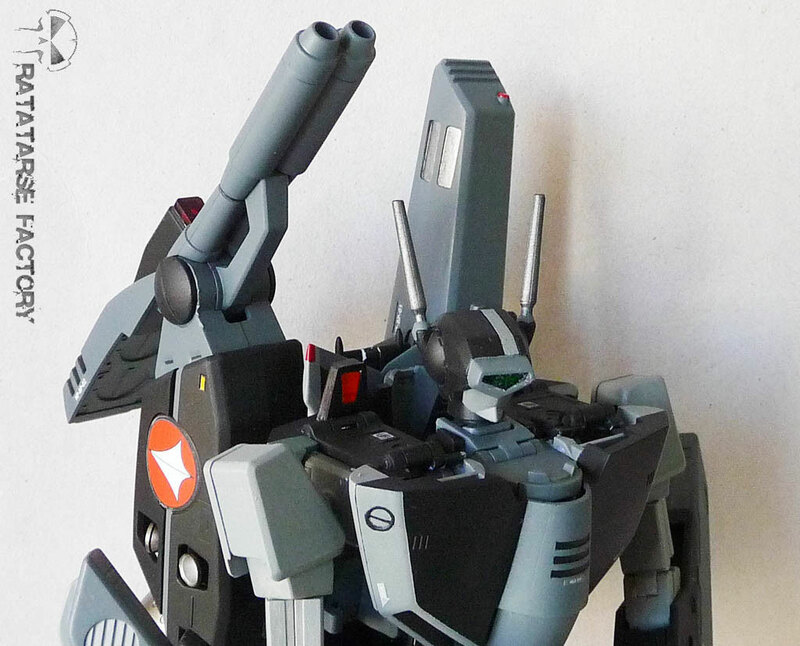 So I put a VF-1J v2 together with its Strike parts, and selected the paints with better accuracy than previously. 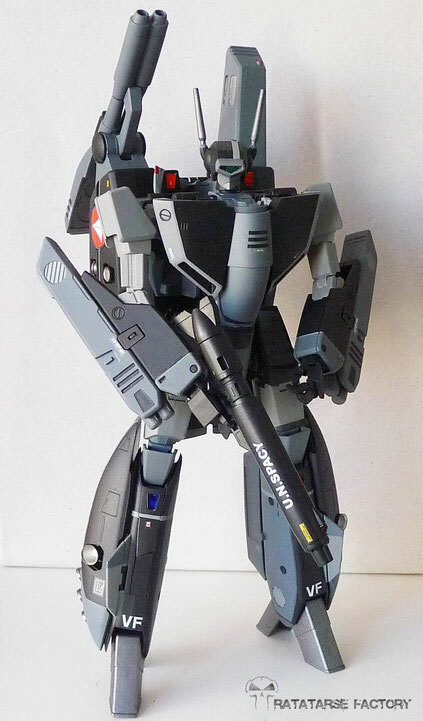 If I made little free adaptation from the original scheme, to get really MY Stealth type, this custom is finally the nearest I've seen compared to the original 48th Valkyrie. 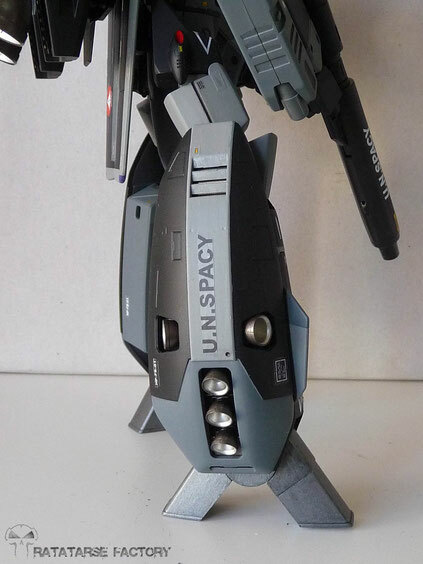 I used only lacquers and enamels on this custom. 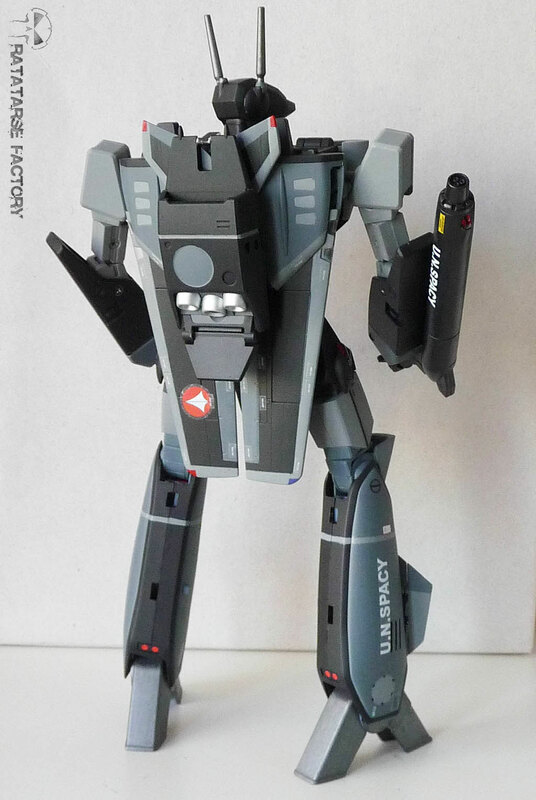 The stickers were put in place after complete paint drying, and then the fighter has received two passes of satin coat. I wonder if I won't make any other VF in this paint scheme... A & S models should be great in it !